Photographer Jerry Gay was given unique access to serial killer Ted Bundy in 1977 after winning the Pulitzer prize two years before for capturing exhausted firefighters, slumped over and resting mid-fight. His photograph's of Bundy have since become the stuff of legend, both for their intimacy and their enduring appeal. Serial killers have a unique place in our modern psyche. Their names are never forgotten, even when their crimes mostly are. We might not know who they killed or how, but we know they did. Bestowing such people with a cult of celebrity is a double-edged sword. It can act as a cautionary tale, but it can also glorify their actions. For a psychopathic mind, heightened ego is stroked by the temptations of fame. Bundy's life didn't start out necessarily bad or evil. He was a budding politician, sure that he'd someday make it to the throne of US presidency. Remembering his youth, he recalled better times in better places. It was mainly fiction. It's not how others remembered him. 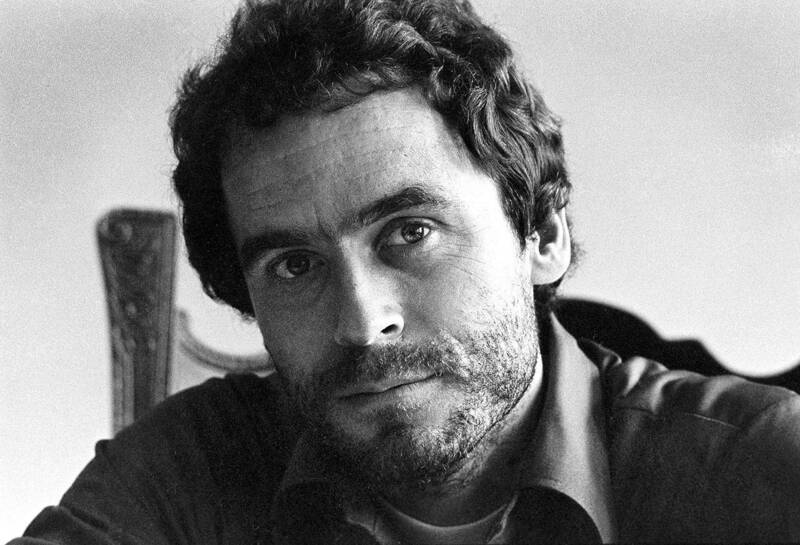 In a new Netflix series Conversations with a Killer: The Ted Bundy Tapes we have another attempt at profiling the killer and all the accompanying oddities. Bundy was a smart man, he knew his place in popular culture. He also knew his worth as a medical and psychological curiosity. His mind was valuable. Handsome and charming, many women lined the rows of seats in court as they awaited his entrance to the room everyday, eager to find out his sentencing and the details of his crimes. In between these two largely disparate entities, the murder groupies and the neurologically curious, is the photographer Jerry Gay. With his images, as with the firefighters, Gay had a responsibility to tell the truth, but also his version of it. The photographs were both about entertaining and captivating as being about understanding. He was painting a portrait that could only reference reality exactly as it was in front of him. There was very limited room for creative flourish, especially considering the setting of a jailhouse and Bundy's limited movement. Gay said, "I was wanting to know him for who he was, and not for what had happened." He made it clear that, “There wasn’t any judgment. I was just photographing a person named Ted. I was getting to know him, so he would feel comfortable with the camera." The three hours in that room in Colorado has produced images as versatile and telling as any other about, not the evil of serial killers, but the humanity underneath. The problem is, should we still see these people as human just like us? We may not have to like them, yet we can understand them. Largely, we are empathetic beings. The power in Gay's images comes not from how much like us Bundy seems to be, but how much like him we all are. There's an honesty and intimacy, but also a subtle humour. He's a guy who has clearly dropped his guard, credit to the photographer, and who wants to look good in front of the camera. Shackled and bound, his personality jumps from the frame. The moments captured seemed to represent someone that is no longer a threat to society. His 30 total murders weren't quite realised at that point though. After Gay packed up his stuff and thanked Bundy, the killer was back killing a matter of weeks after another escape. All that warmth in these images isn't of a repentant soul, but a wolf in sheep's clothing, biding his time. Garfield County Jail in Glenwood Springs was just another temporary part of Bundy's life, a place that, like almost every other aspect, he had no attachment to. But despite being far removed, these magnetic personalities have a presence that is more 'here' than most. We shouldn't be interested in them, but we are. History remembers some of the good guys, but almost all of the bad guys. Even now he still has his fans. As hard as it may be to understand, these pictures offer the closest thing to meeting human behind the inhumane acts. They're a keen insight into a peculiar mind.